Organix Cat treats by Castor and Pollux are delicious, certified USDA Organic cat treats. 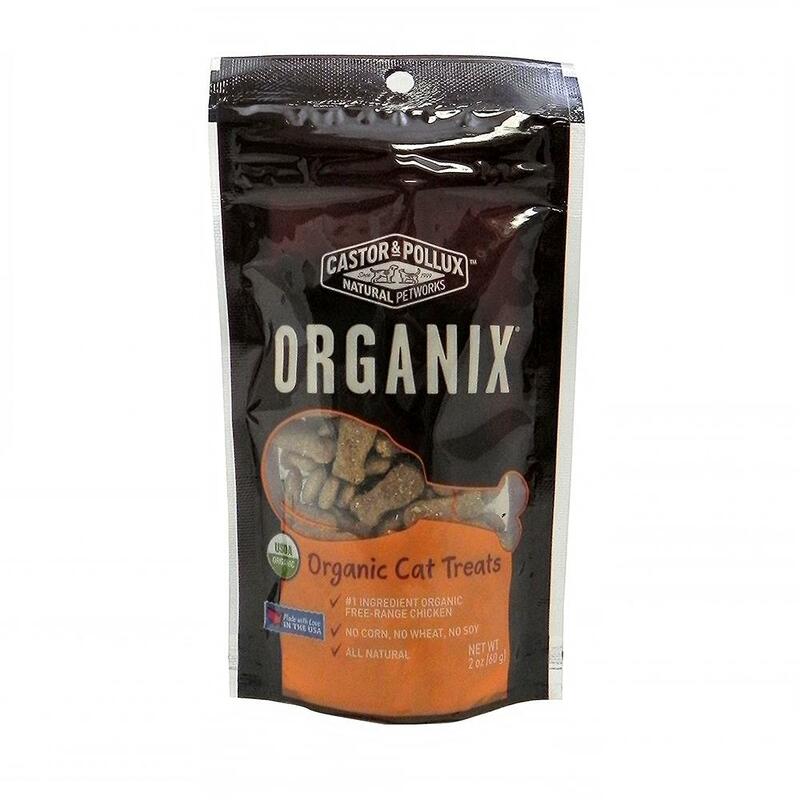 These all-natural cat treats are corn, wheat, and soy free. Comprised of 95% Organic ingredients, with the #1 ingredient being Organic, free- range chicken. These crunchy treats are safe and tasty for your cat.